The World Health Organization (WHO) records about 17.9 million people worldwide die each year from cardiovascular or heart disease, making it the top cause of death for many years. The Philippines, in particular, has an average of 118,740 cardiac deaths a year. This number increases at 5% every year, making it the top cause of death for several years. Valvular Heart Disease (VHD) occurs when one or more valves of the heart are not functioning properly. In the US, 10% to 20% of cardiac surgical procedures are related to VHD. Aortic valve stenosis (AS) or narrowing occurs as a result of aortic valve damage and calcification. The valve controls the outflow of the blood from the left ventricle or main pumping chamber. When the valve narrows, it causes significant outflow limitation. The symptoms of VHD and AS are often unnoticed as it is not uncommonly attributed to “normal aging.” A US study shows that while a significant number of people suffer from the disease, only 25% of the respondents know about VHD and the rest know next to nothing about it. This led to the establishment of an awareness campaign on heart valve disease or the National Heart Valve Awareness Day on February 22 during American Heart Month. The movement is dedicated to increasing education and awareness of the specific risks and symptoms of VHD and to decrease the number of people suffering from or dying from valvular heart disease. Symptomatic AS when left untreated can more significantly impact the quality of life and kill patients faster than most common cancers. Symptoms associated with AS include chest pain/heaviness or angina, fatigue, shortness of breath on exertion or at rest, fainting or dizziness and/or heart failure which may be associated with leg swelling, marked fatigue as well as shortness of breath, functional limitation and even inability to lie flat in bed. The condition can range from mild to severe. Degenerative or calcific AS occurs more commonly among the elderly and may significantly impact their longevity and more importantly, their quality of life. One in 8 people over the age of 75 likely suffer from moderate to severe VHD. These patients often have other medical problems which may markedly influence their treatment options. Younger patients are no exemption, as those who are born with certain heart conditions – such as bicuspid aortic valves and rheumatic heart disease – or with a history of radiation to the chest and other inflammatory conditions. Cardiovascular risk factors, such as diabetes, high cholesterol, coronary artery disease, high blood pressure as well as chronic kidney disease are also known to contribute to the disease process or exacerbate the disease manifestations. The treatment of severe symptomatic AS is aortic valve replacement, which historically has been done using general anaesthesia, heart lung machines and open heart procedures. 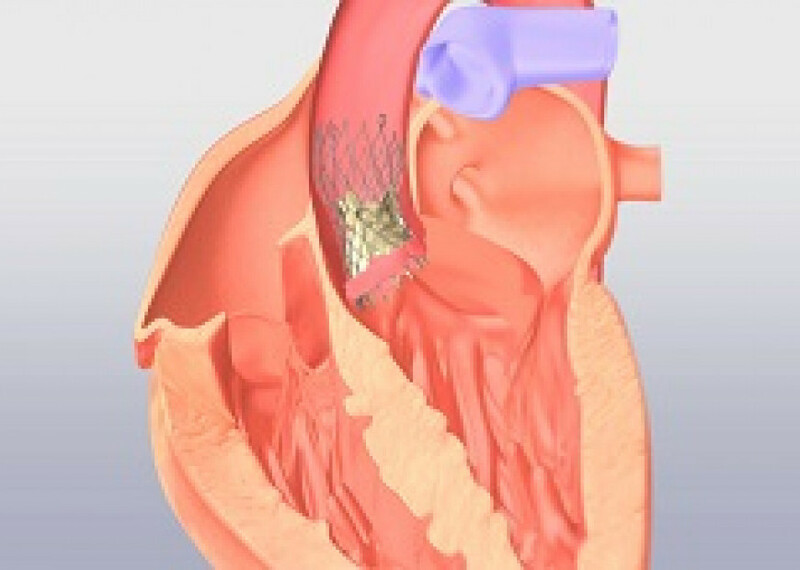 However, with the introduction of the Transcatheter Aortic Valve Replacement (TAVR), the aortic valve can effectively be replaced using minimally invasive, transcatheter technique, done with or without general anaesthesia and may even be done fully percutaneously or without cuts. It is US FDA-approved for intermediate, high or extreme risk patients who otherwise require surgical aortic valve replacement. Randomized controlled trials in low risk patients are on-going. Among these patients, TAVR at one and two years has been shown better or equal to SAVR (open heart surgery). According to a study conducted by Medtronic in the Philippines, out of an average of 231 AS patients whom a cardiologist treats in a year, 64% are recommended to undergo TAVR. TAVR is no longer experimental, nor only for patients at extreme risk or with no surgical options. For those patients who are considered inoperable due to multiple medical problems or difficult anatomy, TAVR represents a significant and effective option for care. TAVR has become mainstream therapy for the management of severe AS and offers significant advantages related to faster recovery, shorter hospital stay, lower need for blood transfusions, and implant larger valves, which carry significant hemodynamic advantages in terms of function and even survival. Symptomatic AS cannot be effectively managed with medicines alone. There is no evidence that medication alone significantly decreases disease-related mortality. TAVR allows for the minimally invasive replacement of the diseased aortic valve using catheters advanced via the groin arteries. However, the procedure can be performed via multiple other vascular sites (such as axillary artery, direct aortic, transapical, and even retrograde via the carotid arteries) in patients whose groin or femoral arteries are diseased or too small to accommodate the catheter. TAVR is done without the use of heart-lung machine, without general anaesthesia, and, in some patients, may be done without the need for surgical cuts. Prior to performing TAVR, the patient is assessed by a HEART team involving surgeons, cardiologists, anaesthesia, cardiac imaging and interventional cardiologists. Other medical services may be required depending on specific medical problems for each patient. In addition, several diagnostic tests which include echocardiography, electrocardiogram and CT scan images are required in order to accurately define anatomy for procedural eligibility and procedural planning as well as to more accurately define the patient’s overall condition. Patients who have undergone TAVR recover faster. For most functional patients, they are able to walk without assistance within 24 hours with an average hospital stay of 3 to 4 days. However, for patients with multiple, complex, comorbidities or frailty, hospital stay may last more than the average. Composed of highly-trained valvular disease specialists, St. Luke’s Medical Center Global City TAVR team has performed 145 TAVR procedures with a 98% success rate. This is at par with the outcomes reported at some of the most prestigious hospitals in the world. Compared to open heart surgery, the procedure is quicker with an average device implantation time at 45 minutes. The Center for Structural Heart and Vascular Diseases of St. Luke’s Medical Center Global City continues to develop optimized, quality controlled systems of care which support the introduction of advanced and pioneering technologies in the management of complex structural heart and vascular diseases. 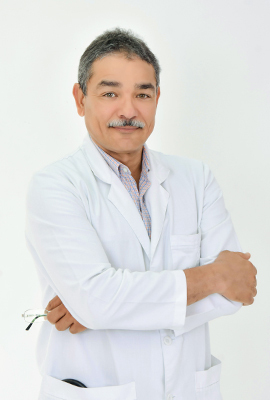 The Center has pioneered multiple innovative treatments such as the catheter-based endograft aneurysm repairs (endovascular aneurysm repair) in 1999, TAVR in 2012, hybrid repairs of complex aortic vascular diseases, transcatheter mitral valve repair using the MitraClip in 2013, and graft endo fixation in 2017. If you suspect to suffer from aortic valve stenosis, see your physician to discuss possible options for diagnosis and care. You can also schedule an appointment with your St. Luke’s cardiologist at the Center for Structural Heart and Vascular Diseases by calling trunkline 789-7700 ext. 2000/2010.